Paul Hernaman and "Crow" - Winners of the 2008 EAC. [G2:7856 class=left size=200 frame=shadow]This years event, with its route put together by Historic competitor Paul Brewerton, will see a return to its base of many years, the Holiday Inn Norwich. The route will feature quality driving tests at RAF Sculthorpe and visits to other venues, some of which have been used by the EAC in the past but others are new territory. This year will also see something else new. The event weekend, along with the hotel and test venues will be shared with the EACS Endurance rally (formerly called the Midsummer). This sharing of resources has allowed us to split the venue costs which will help keep the entry fee down without compromising the quality tests which EAC competitors of old have come to enjoy. [G2:4305 type=randomImage class=right size=200 frame=shadow]After receiving feedback from last years event, the regularities will be shorter and easier, with much of the navigation by road book in very plain formats. There will also be a lunch halt at Fakenham Race Course and after the final regularity, it’s back to the hotel for a hot buffet and results. Once again this year's event will be supporting the East Anglian Air Ambulance which provides much needed emergency cover in the area. 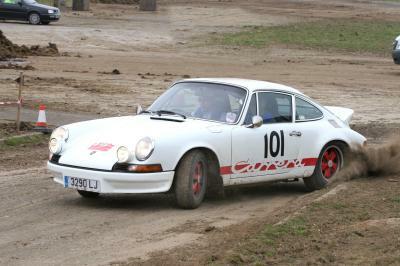 Chelmsford Motor Club contributes, with the help of competitors from its major events, approximately £2000 each year.